The use of vegetable oils and animal fats for lubrication purposes has been practiced for many years. With the discovery of petroleum and the availability of inexpensive oils, alternatives became unattractive and were left by the wayside. Attention was refocused on vegetable oils during wartime and oil shortage situations. For example, during World War I and World War II, the use of vegetable oils for fuel, lubricants, greases and energy transfer increased rapidly. Also, the oil embargo of 1973 brought needed attention to alternatives for petroleum oils. Over the past two decades, a renewed interest in vegetable oil-based lubricants has occurred as environmental interest has increased. In Europe during the 1980s, various mandates and regulations were placed on petroleum products necessitating the use of biodegradable lubricants. During the 1990s, many American companies began developing biodegradable products. A prime example is when the Mobil corporation introduced its Environmental Awareness Lubricants (EAL) line of hydraulic fluids. The Lubrizol Corporation also developed considerable quantities of additives and sunflower oil-based lubricants. However, the lack of regulatory mandates in the United States, as well as the availability of post-Desert Storm low-cost oil, made biodegradable oils too expensive to compete. 1. Patterning after European farmers, U.S. growers’ associations have begun spending considerable sums of money on research in nonfood “new uses” areas to reduce crop surpluses. 2. The federal government has introduced initiatives to promote the use of environmentally friendly products within federal agencies. 3. There have been advancements in biodegradable lubricants technology and genetic enhancement to seed oils. Figure 1 shows a comparison of the oxidative stability of several vegetable oils as tested in the oxidative stability instrument. Whereas conventional soybean oil shows an oxidative stability index of seven hours, oil from the genetically enhanced soybean shows 192 hours. Vegetable oils can and have been used as lubricants in their natural forms. 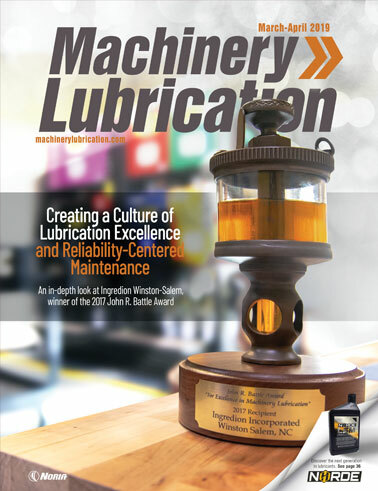 They have several advantages and disadvantages when considered for industrial and machinery lubrication. On the positive side, vegetable oils can have excellent lubricity, far superior than that of mineral oil. 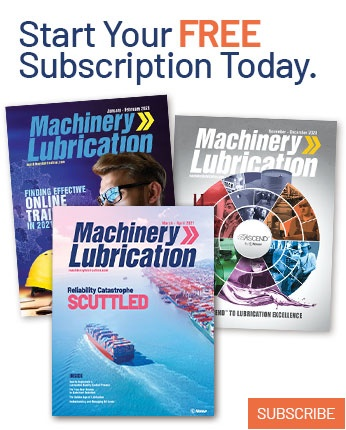 Lubricity is so potent that in some applications, such as tractor transmissions, friction materials need to be added to reduce clutch slippage. Some crude vegetable oils tested at UNI-ABIL have passed hydraulic pump/wear tests, such as ASTM D2882 and ASTM D2271, in their natural form. Vegetable oils also have a very high Viscosity Index (VI); for example, 223 for soybean oil vs. 90 to 100 for most petroleum oils. Restated, the viscosity of a high VI oil changes less than that of a low VI oil for a given temperature change. The oil’s viscosity does not reduce as much when exposed to high temperatures, and does not increase as much as petroleum oils when exposed to cool temperatures. Another important property of vegetable oils is their high flash/fire points; 610°F (326°C) is the flash point of soybean oil compared to a flash point of approximately 392°F (200°C) for mineral oils. Most importantly, vegetable oils are biodegradable, in general are less toxic, are renewable and reduce dependency on imported petroleum oils. Additionally, using lubricants and greases made of soybean oil helps reduce soybean surpluses and helps stabilize soy prices for American farmers. For most industrial machinery users these products offer considerable public relations benefits and goodwill within the agricultural community. On the negative side, vegetable oils in their natural form lack sufficient oxidative stability for lubricant use. Low oxidative stability means, if untreated, the oil will oxidize rather quickly during use, becoming thick and polymerizing to a plastic-like consistency. Chemical modification of vegetable oils and/or the use of antioxidants can address this problem, but increase the cost. Chemical modification could involve partial hydrogenation of the vegetable oil and a shifting of its fatty acids. The challenge with hydrogenation is to determine at what point the process is to cease. Full hydrogenation of oil can lead to solid products like margarine. Depending on the needed liquidity and pour point of the oil, optimum hydrogenation is determined. Recent advances in biotechnology have led to the development of genetically enhanced oilseeds that are naturally stable and do not require chemical modification and/or use of antioxidants. A soybean seed developed through DuPont technology, for example, presents more than 83 percent oleic acid as compared to only 20 percent oleic acid content in conventional soybean oil. Originally developed for frying applications, this oil has shown about 30 times more oxidative stability and viscosity stability in hydraulic pump tests conducted at the UNI-ABIL Research Program. High oleic varieties of canola oil, rapeseed, sunflower and soybean are now becoming standard base oils for biodegradable lubricants and greases. The primary advantage of soybean is that it is U.S.-grown and has a well-established infrastructure to deliver the quality, quantity and economy for these alternative products. All conventional, chemically modified or genetically modified oils tested at UNI-ABIL have shown the same levels of biodegradability. Using tests developed by American Standard for Testing and Materials (ASTM) and Organization for Economic Cooperation and Development (OECD), the oil is inoculated with bacteria and is kept under controlled conditions for 28 days. The percentage of oxygen consumption or CO2 evolution is monitored to determine the degree of biodegradability. Most vegetable oils tested have shown to biodegrade over 70 percent within that period as compared to petroleum oils biodegrading at about 15 to 35 percent. For a test to be considered readily biodegradable, there must be > 60 percent degradation in 28 days. Similarly, using a variety of tests involving fish, daphnia and other organisms, the toxicity of the vegetable oils are tested. In this case, in their pure form, both mineral oil and vegetable oils show little toxicity, but when additives are included, toxicity increases. Another negative to vegetable oils is their high pour point (the temperature at which oil loses fluidity and does not flow). This problem too can be addressed by winterization, addition of chemical additives (pour point suppressants) and/or blending with other fluids possessing lower pour points. Various synthetic oils can be used for this purpose. With a combination of these techniques, UNI-ABIL has developed hydraulic fluids with pour points of -32.8°F (-36°C) for use in snow blowers used by the Iowa Department of Transportation. Another experimental hydraulic fluid using genetically enhanced oils meets military specifications for pour points of -65.2°F (-54°C). While the use of genetically modified seed oils alleviates the problem of oxidation stability, the cold temperature properties must be enhanced by the addition of chemical pour point depressants and/or the addition of other liquids with much lower pour points. Figure 2. 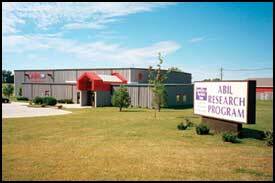 The University of Northern Iowa Ag-Based Industrial Lubricants (ABIL) Research Program is focused on the use of soybean oils for industrial lubricants and greases. If a high degree of biodegradability is required, then biodegradable synthetic esters are added to improve cold temperature properties. On the other hand, if the attempt is to maintain the so-called biobased property, where at least 51 percent is of natural biomaterials, then a portion of the blend could be light mineral oil with low pour points. The latter will show a higher degree of toxicity and a lower degree of biodegradability. U.S. farmers are beginning to move toward specialization of crops, specifically growing specialty crops for specific end-uses. These specialty crops often bring in higher premiums and are more profitable than growing the same crops when there is a surplus. The use of genetic modification will create specialty crops with pharmaceutical and health benefits, as well as crops suitable for machinery lubricants. Most importantly, the development of enhanced and naturally more stable oilseeds is reducing prices of some of these lubricants. In Europe, environmental mandates have expanded the use of these products. In the United States, the lack of regulatory mandates and higher prices have hindered the growth in usage. But long-term liability for the management of and the increasing prices for petroleum are changing the picture. The soybean market has the infrastructure to meet quality and quantity requirements for the lubricants industry. The worldwide supply of soy oil is approximately 6.2 billion gallons, half of which is produced in the United States. Other vegetable oils must be imported and are generally much more expensive than soybean oil. Due to its inherent low stability, soybean oil was not used for lubricants until the UNI-ABIL received funding from the Soybean Promotion Board to study and develop products. Today, after 10 years of research, field tests and commercialization activities, economical and superior lubricants and greases are made with U.S.-grown soybean oil. Many of these products are in use by federal facilities, state of Iowa-owned equipment, and trucking and railroad firms. UNI-ABIL has licensed 16 formulated lubricants, greases and base oils made of high oleic soybeans that have been genetically enhanced for stability. These products meet and exceed industry requirements, and many do not cost much more than their petroleum counterparts. If these products can compete in performance and price, their environmental benefits will make them even more appealing to users. Products currently available from soybean oils include: tractor transmission hydraulic fluid, industrial hydraulic fluids for process and machinery applications, food-grade hydraulic fluids and greases, greases for use in automotive, railroad and machinery applications, chainsaw bar oil, gear lubes, compressor oil, and transformer and transmission line cooling fluids. Currently, field tests are continuing on two-cycle engine oils, metalworking fluids and other specialty lubricants. 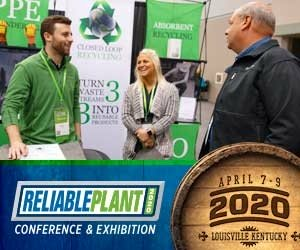 With the government’s lead-by-example initiative, advocacy by growers associations and advances in lubricant research and biotechnology of oilseeds, the U.S. market will progressively see more biobased lubricants. As industrial users learn of and use these products, vegetable oil-based lubricants, also called biodegradable lubricants or biobased lubricants, will become an important addition to the existing lubricant industry. Due to their benefits, they will be become more prevalent in applications where environmental and safety concerns are high, and they will be less prevalent where petroleum products offer price and performance beyond those possible by biobased products. Rest assured that environment-friendly biobased lubricants and greases are here to stay. Are Bio-based Lubricants Worth the Extra Cost?